During the winter months in Ireland the weather throws everything at us and our skin! We can go from sun to snow in a day and our skin is paying the price! We know what the weather is like in Ireland but how do we keep our skin dewy in the winter? The outdoor air as well as as indoor heating really drys out our skin! 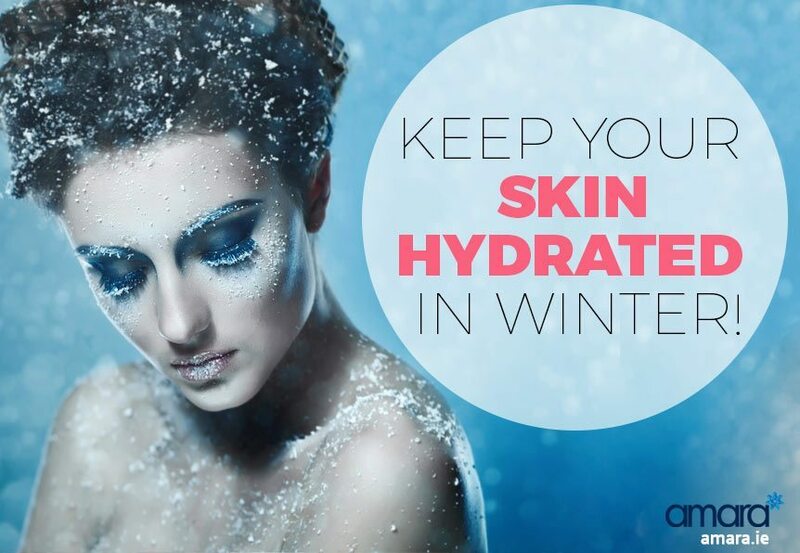 However it’s our own winter habits that also wreak havoc with our skin! 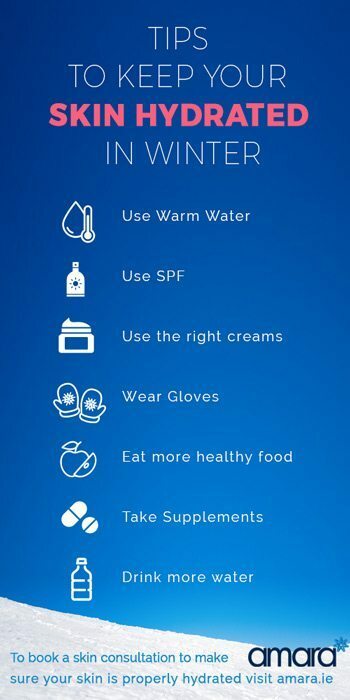 As its colder you might be tempted to use hotter water on your skin. DON’T! Very hot water or very cold water damages your skin and leads to it drying out. Stick to lukewarm water to avoid damage. I must say this in every blog and i’ll keep saying till people understand! It is essential that we wear SPF everyday, it protects our skin from sun damage and can help prevent skin cancer. SPF is found in more and more products like our foundations and primers. Use SPF every morning on your face and neck. Oclipse Smart Tone by ZO Skin Health, contains SPF 50 as well as colour beads which adapt to most skin tones. Vitamin C also helps even out your skin tone if you were to go makeup free or works as a good base! Many think that they have to switch their creams for different seasons. What’s important is what your skin needs at the time! many of us are not using the right products for our skin and as a result it does not get what it needs . Consult a Skin Health Therapist about what your skin needs for the whole year! It goes without saying our hands are colder throughout the winter! Invest in a good pair of gloves to help protect your hands from the cold. Tip: Don’t neglect your feet! Make sure they’re kept warm by some good socks! Over winter we tend to eat more but not all of it is good! Eat more skin friendly foods to give your skin the best chance of staying healthy during winter. An increase in vegetables and better foods is the best way to up our Omega 3! However taking food supplements such as Omega 3, Fish Oils and primrose oil help our skin with an extra kick that it needs. It seems obvious that drinking more water helps with almost all health and skin problems. During the winter we also tend to drink more tea, coffee etc so it is important to add extra water try counter the drying effects! Also dairy can cause acne breakouts so try replace it with a soy or almond milk. It is important to treat your skin all year round! 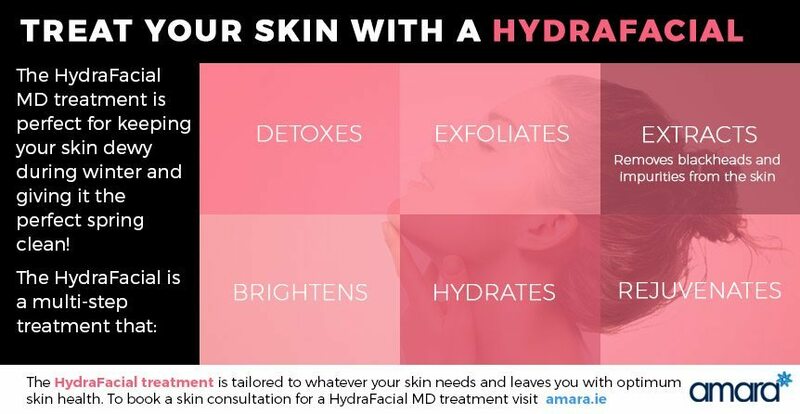 The HydraFacial MD treatment is perfect for keeping your skin dewy during winter and giving it the perfect spring clean! The HydraFacial treatment is tailored to whatever your skin needs and leaves you with optimum skin health. What top winter skin tips do you swear by? Let us know in the comments below and to arrange a skincare consultation just get in touch!